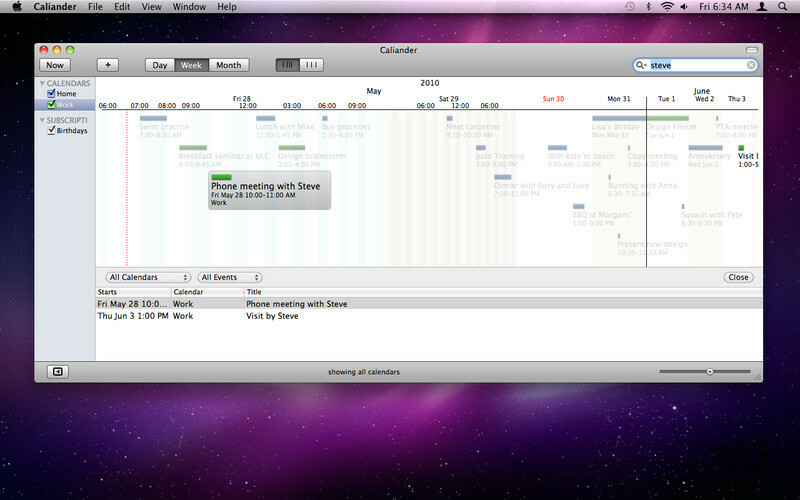 Create calendar events quickly and easily. Is there a better alternative to Caliander? Is Caliander really the best app in Personal Info Managers category? Will Caliander work good on macOS 10.13.4? Caliander is the calendar that lets you create events faster and with less effort, keeping you on top of things with its smart and unique presentation. It uses the same calendar database as Calendar.app, so it syncs with all your devices as usual, and all your events are there-no migration needed! Caliander is all about removing the effort it takes to maintain a calendar. Adding events as easy as pressing Command-N and typing "fri 5 pm After Work". 5x faster than fooling around with the mouse! 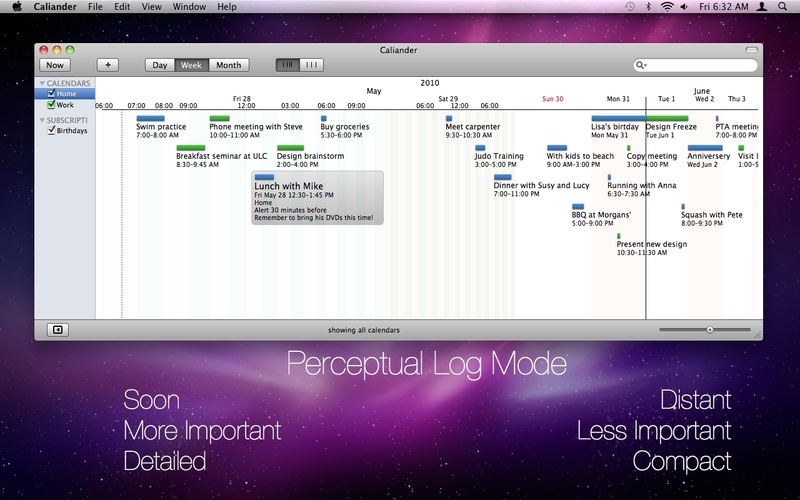 Timeline based dynamic presentation that sheds the limitations of old, static paper calendars. Note: The demo version is currently at 1.2.1. 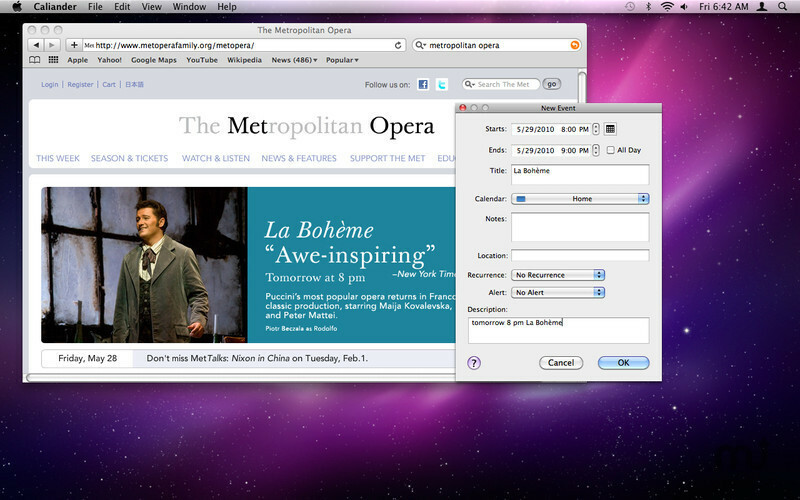 The version available for purchase on the Mac App Store is 1.2.2. Fixes an issue which prevented detailed information for the selected event from being displayed. Switch on the perceptual log mode and the distant future is squeezed together to show the more import near future in greater detail. You'll see today's schedule in great detail, but still be reminded of all the things coming up in the next couple of days. You won't miss mum's birthday again! No lock-in! Because it uses the OS X Calendar Store, the same calendar database that Calendar.app uses, you don't have to be afraid of your events being stuck in some proprietary format. 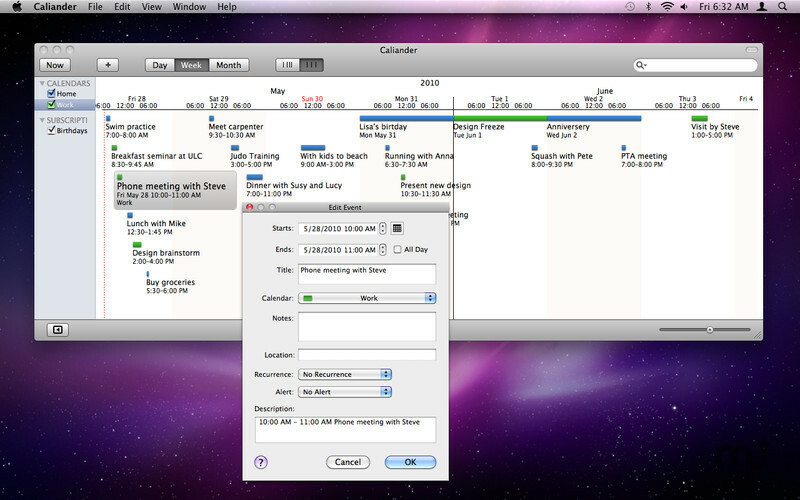 Everything you do in Caliander immediately shows up in Calendar.app and vice versa. A warning about CalDAV, Entourage and subscribed-to calendars: While Caliander shows and edits your CalDAV calendars, it can't sync these calendars on its own because of technical reasons; you have to start iCal to perform a sync. Similarly, you have to start iCal to refresh your subscribed to Calendars. There is no support for Entourage calendars, unfortunately.